Whether you are a collector of valuable paintings and sculptures or own several unique antique pieces, the safety of your precious possessions takes the highest priority during the transportation process. Thereby, it is of utmost importance to choose the right fine art moving company for shipping your collection. Moreover, you need to find art movers who not only ship fine art professionally but also provide a comprehensive art crating service, especially if it comes to packing items for shipping overseas. As one of the best crating and shipping companies in New York City, we completely understand the importance of the reliable and safe transportation of art and antiques. Our moving process encompasses everything from planning and scheduling to packing items for shipping and their delivery to the final destination. Moreover, we provide a high-quality crating service in-house, offering customized solutions to each particular client and order. 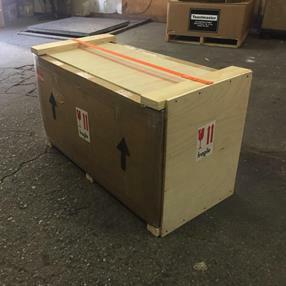 In fact, Fine Art Shippers is among the most reliable wooden crates manufacturers in the Tri-State Area, which allows us to work with the most valuable and fragile items that require special handling and care throughout the whole process of transportation. Why is it so important? Since all art and antique objects can be easily damaged in transit, it is crucial to ensure that everything is ready to withstand the rigors and stresses of the long-distance move. Thereby, the right way of packing items for shipping is very important, especially when you need them to be safely delivered overseas. However, careful packing is not always enough for the utmost protection of your treasures in transit. The most valuable, fragile, and delicate items, as well as large and heavy works of art, should be also professionally crated in wooden crates designed specifically for them. 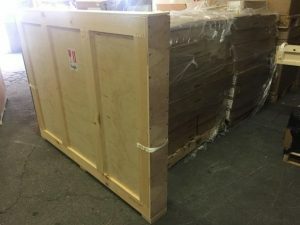 Here are several photos of high-quality custom built wooden crates made by our team to protect art pieces on their way from New York to Art Basel. 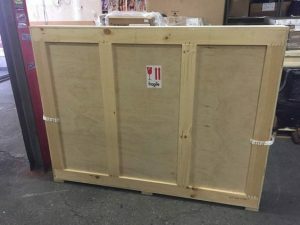 At Fine Art Shippers, we are proficient in packing items for shipping overseas, not to mention that we can build a wooden crate for literally any piece of art, no matter its size, shape, and weight. So whether you are moving within a city or need your artworks to be delivered to another country intact, Fine Art Shippers is the right place to come for help! 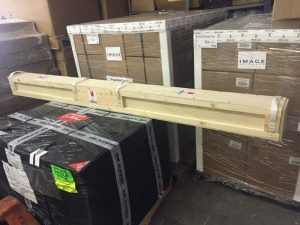 Our professional art packing and crating services are your best chance to ensure that every single piece of your collection arrives at the destination safe and sound!